What do I do if I have not received an Order Confirmation email? If you have placed an order and have not received an Order Confirmation email, first check your Spam folder. If the Order Confirmation email cannot be found, please email Care@shopatimage.com or call 1-855-828-5983 to speak with a Customer Service Representative. What do I do if I have not received a Tracking Number? A tracking number is sent in an email after the order has been processed for shipping. This is a separate email than the Order Confirmation email. If you have not received a Tracking Number email within 2-3 days of making your order (excluding weekends and holidays), please email Care@shopatimage.com or call 1-855-828-5983 to speak with a Customer Service Representative. What do I do if my order package is lost or missing? 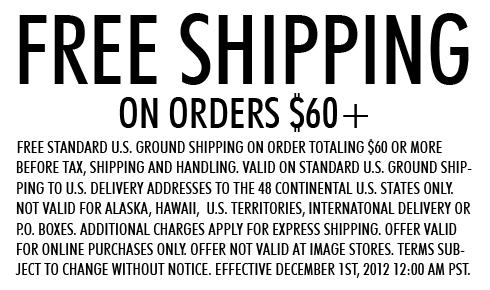 If your order has not arrived, please email Care@shopatimage.com or call 1-855-828-5983 to speak with a Customer Service Representative. If the order has not been shipped out, we can gladly cancel the order for you. We can also change the item size or color. We cannot add or remove items from an order once it has been placed. If the order has already been shipped, we cannot make any changes or cancel the order. If you wish to return the order or make any item exchanges, you will need to ship the unwanted items back to us. In the case of a damaged or incorrect item, we will gladly pay for return shipping. If the return or exchange is not due to a damaged or incorrect item, the customer is responsible for paying for return shipping. Please ship the item(s) you wish to return or exchange back to us. Please include the return form included in the original package. Refunds will be credited to the original form of payment. Please allow 2-3 weeks from the return shipped date for your account to be credited, and 1-2 billing cycles for the credit to appear on your statement. Why is my gift card or store credit not working? Please note that gifts cards purchased from Image stores and store credit obtained for Image stores are not valid for orders on Shopatimage.com. If your Shopatimage.com e-gift card or online store credit is not working, please email Care@shopatimage.com or call 1-855-828-5983 to speak with a Customer Service Representative. Why is the promotion/discount code not working? Please check the date on the banner for the promotion code to see if the promotion code is still valid. Please also check the terms of the promotion code, which may include a specific category the items the code applies to or a minimum purchase amount. For more help and information, email Care@shopatimage.com or call 1-855-828-5983to speak with a Customer Service Representative.